© Tyler Kern. All rights reserved. 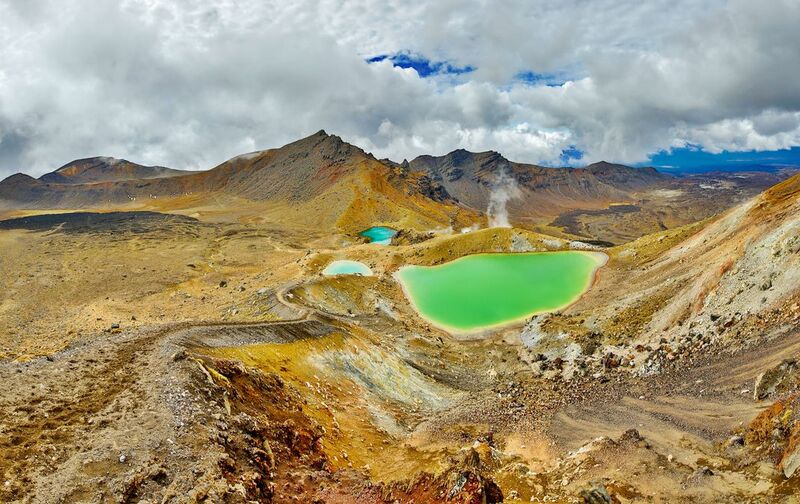 This image depicts the Emerald Lakes encountered on the Tongariro Alpine Crossing. The Tongariro Alpine Crossing in Tongariro National Park is a tramping track in New Zealand, and is among the most popular hikes in the country. Date Uploaded: Dec. 1, 2015, 11:51 p.m.